THE minimum wage that has been announced for cleaners and security guards should be gradually extended to other jobs too, participants of BT's Pre-Budget Roundtable 2015 agreed. But there was some debate on whether the Workfare Income Supplement (WIS), which also serves to lift the incomes of low-income Singaporeans, is better than a minimum wage. Laurence Lien, former Nominated Member of Parliament and Lien Foundation chairman, was in favour of expanding the "minimum wage" in place in the cleaning and security sectors, to more occupations. "It doesn't have to be across the board. Spread it slowly . . . If you look at the impact on the economy, if you improve (a cleaner's) wage from S$1,000 to S$1,200 . . . it's not going to cripple your business," he said. Though Mr Lien felt that his views are "not popular with businesses", Singapore Business Federation (SBF) chief operating officer Victor Tay said that businesses may well accept a minimum wage in exchange for lower foreign worker levies. "The minimum wage is something that I think is actually worth exploring . . . 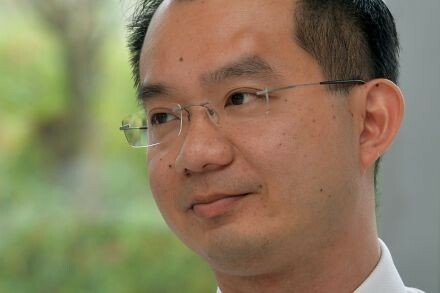 I think if I ask businesses, they would rather trade it off levies," Mr Tay said. This is because the recipient of the minimum wage is the worker himself, who will be productive and benefit the company, whereas the levies go to the state, he added. DBS economist Irvin Seah said: "The beauty of the minimum wage concept in Singapore is that it is actually very targeted, by profession. And it can be adjusted from time to time as well." From September 2016, a new wage ladder setting the minimum monthly basic pay for security guards at S$1,100 (up from S$800 currently) will be made mandatory as part of licensing requirements for security firms. As workers gain skills, they should receive higher salaries. A similar compulsory wage ladder for cleaners kicked in last September, when a new law requiring cleaning companies to be licensed took effect. To be licensed, cleaning firms must pay cleaners a basic wage of at least S$1,000 a month. The targeted nature of this means that if there are massive retrenchments in a particular sector in a recession, wage levels can be lowered to ensure employability of workers, Mr Seah said. Comparing this to the Workfare scheme (under which the government supplements the income of those earning up to S$1,900 in cash payments and CPF contributions), Mr Lien said: "At the end of the day, the WIS is still a form of redistribution from the state. It's always better that you can earn money on your own steam - that's what I believe." Nanyang Technological University (NTU) associate professor of economics Walter Theseira believes that the WIS is more economically efficient than a minimum wage. "But I think there's something to be said for the value of dignity. So I think we should have a public conversation on whether the efficiency lost is worth the dignity gained," he said.